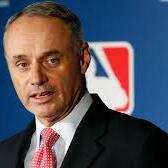 Maury Brown from Forbes.com joins Brian Berger to discuss the new 5-year agreement MLB and the MLBPA reached this week. What are the highlights of the deal and what is the overall financial health of MLB? We also bring you the sports business headlines of the week including expensive college football head coach buyouts and the return of Tiger Woods to the golf course. Follow us on Twitter @SBRadio and on Instagram at sportsbusinessradio.